Hello lovely person who wants to work for us! We are flattered! We love to have interns here, as it gives us the opportunity to meet new people. And out of the people who work here, Chris, Nichaela, JP, Kevin, Tamlyn and Aric all started out as work experience or internship people. We like to “try before we buy”. Julien is one of the two french students (Julien and Caroline) who spent a 10 week internship at Top Left Design. In this post he shares with you a few new things he learnt about design. Hi everyone! I’ve just finished my 10 weeks internship here at Top Left Design. Usually I work more with the programming side of things, and have never really learnt much about the design process. I like coding because I’ve learnt a lot about how to do it, and so now it’s easy for me. But during this internship I saw that design is not so different from coding, you have to always keep in mind some key rules and guidelines to create a good design. Caroline and Julien are two french students who spent 10 weeks with the team at Top Left Design on a summer internship. 10 weeks have flown by! They have sadly left and will be truly missed by all of us at Top Left Design. In this blog post Caroline shares a little bit about her experience at TLD and the new things she learnt. Here we are: 10 weeks have gone by, and it’s already the end. When I look at the pieces of paper which I wrote all of my tasks on each week, I think we can say that it’s been amazing. From tasks which took me several days to complete to some which only took me a few minutes, each week has been a new experience. 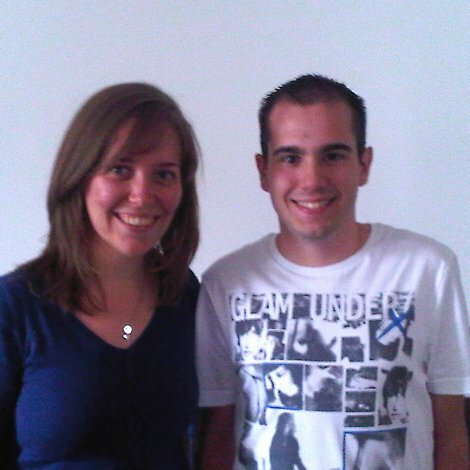 Caroline and Julien – our 2 new French interns – tell us about their first week at TLD! Many of you already know that we are a teaching company and we regularly take work experience people who love to learn about designing and building websites and all the wonderful things that includes. This week we just took on 2 new interns, who are from France, and I asked each of them to give us one paragraph about their experience here. Our last intern, Nadja (from Germany), was with us for the month of September. She was fantastic, and we were impressed by her speed of learning, efficiency and attention to detail. Perfect TLD material, but she is back in Germany now. Below are her lovely comments about her time with us! We are sad she has gone but happy she could spend September with us! Maja our intern – her goodbye letter to us! Our last intern Maja who came from Germany has now left us – sad! “When I heard about my internship in web design I was a little bit afraid, because I’ve never worked with HTML and web design before. But in the end I enjoyed it and I now know more about web design and how to present the designs to clients. To be honest – this is my first internship that I really enjoyed. The whole team was very friendly and open minded and it was a very relaxed atmosphere. I even had my own computer – that was great! I had a lot of projects, which was very good – so I could do a lot of designs which made me very happy. Sometimes I thought I was very helpful, so I hope at the end I was very useful to your company. Every day I tried my best and the whole time in the internship was a very good experience for me. Thank you for giving me a lot of different projects to work on. This was very good and has built on my experiences. I wish I could stay longer in your company because it was a really good time for me. I really liked this internship. This was the best internship I’ve ever had (seriously!). In the past the other internships were not as good as here, because the atmosphere was not as good….a couple of my bosses were uptight and not good-humoured like you and your team are. We will miss Maja too! She was hard working, showed great talent, was quick to learn and helpful. We wish her luck in her future career – keep in touch!